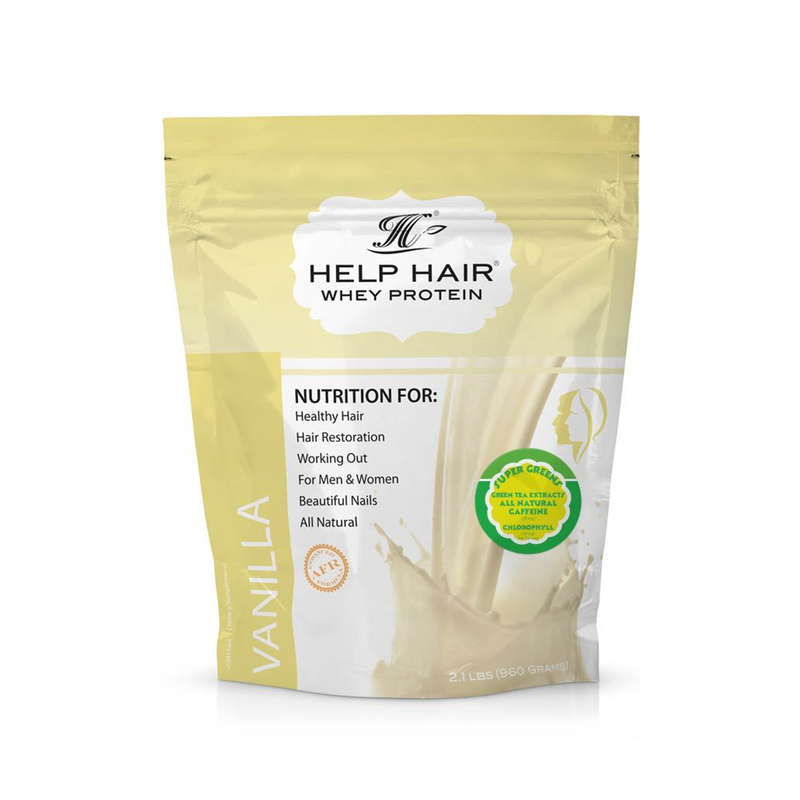 Help Hair Whey Protein is a hair growth supplement containing the best hair loss vitamins and nutrients such as Biotin, Niacin and Vitamin B-12. 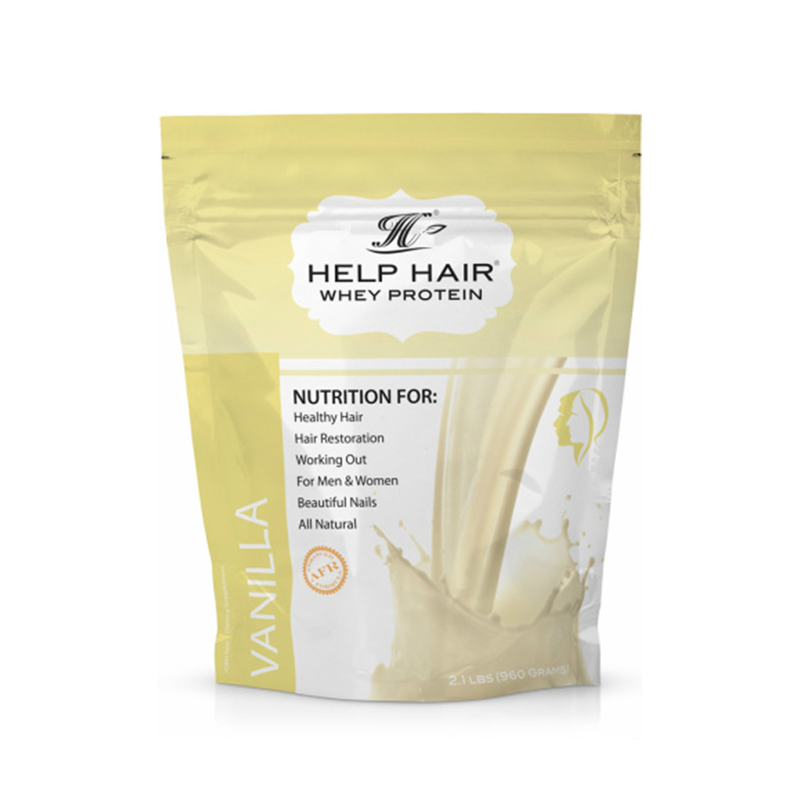 Use Help Hair Whey Protein daily for healthy, fuller looking hair. 8g of Protein per serving for optimal hair growth. 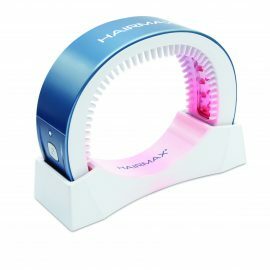 For best results use in conjunction with Help Hair Vitamins. 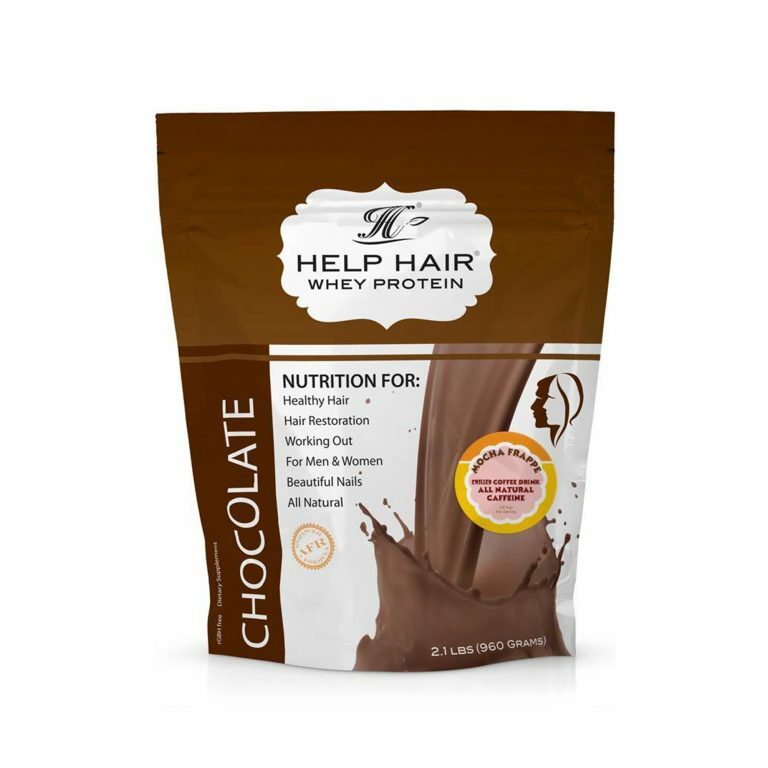 Help Hair Whey Protein is a whey protein powder designed to aid in hair restoration. Our specially physician formulated protein powder is rich in vitamins, essential amino acids and minerals. When taken daily, Help Hair Whey Protein will help provide nutritional support for healthier, more vibrant, thicker and fuller hair with more shine. 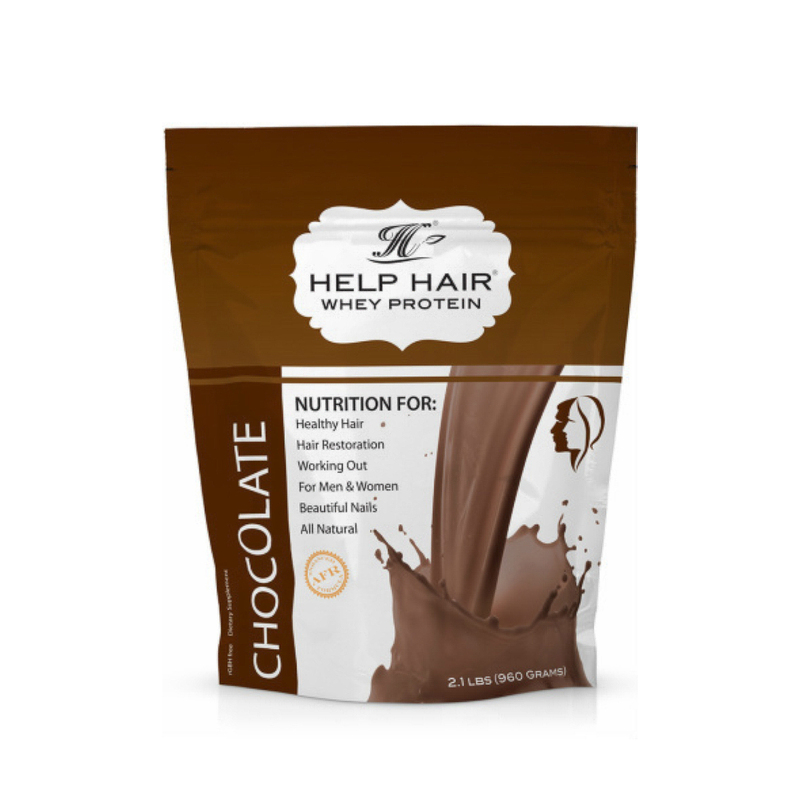 Help Hair Whey Protein uses a low anabolic whey protein for optimal hair growth, but also to protect against Accelerated Hair Loss. Each hair is 97% protein, which shows just how important protein is to healthy, strong hair growth. 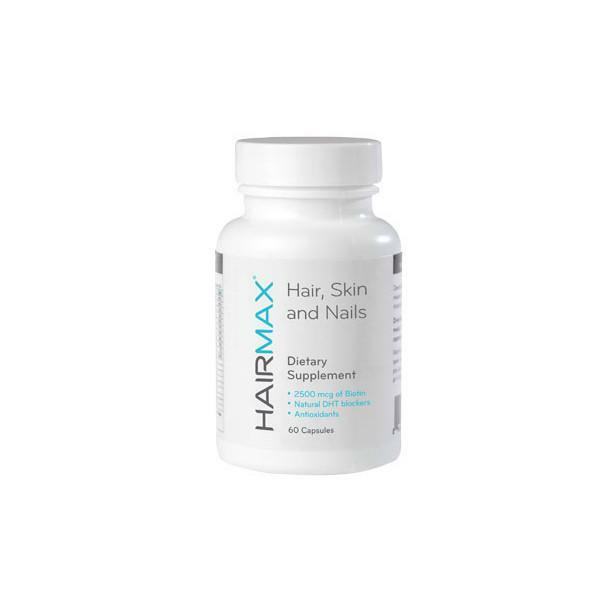 Vitamin supplements alone cannot aid support healthy hair if you are also deficient in protein. 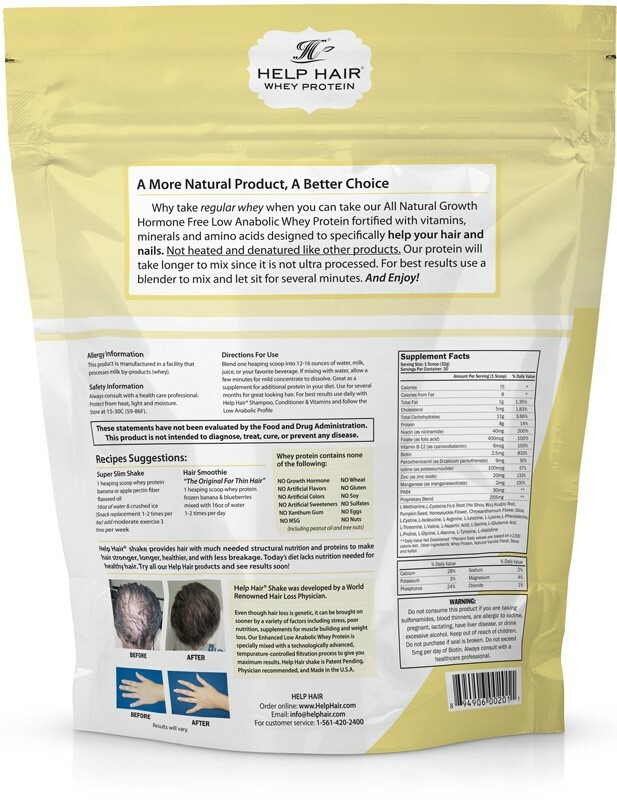 For full results, Help Hair Whey Protein must be taken for 4-6 months. 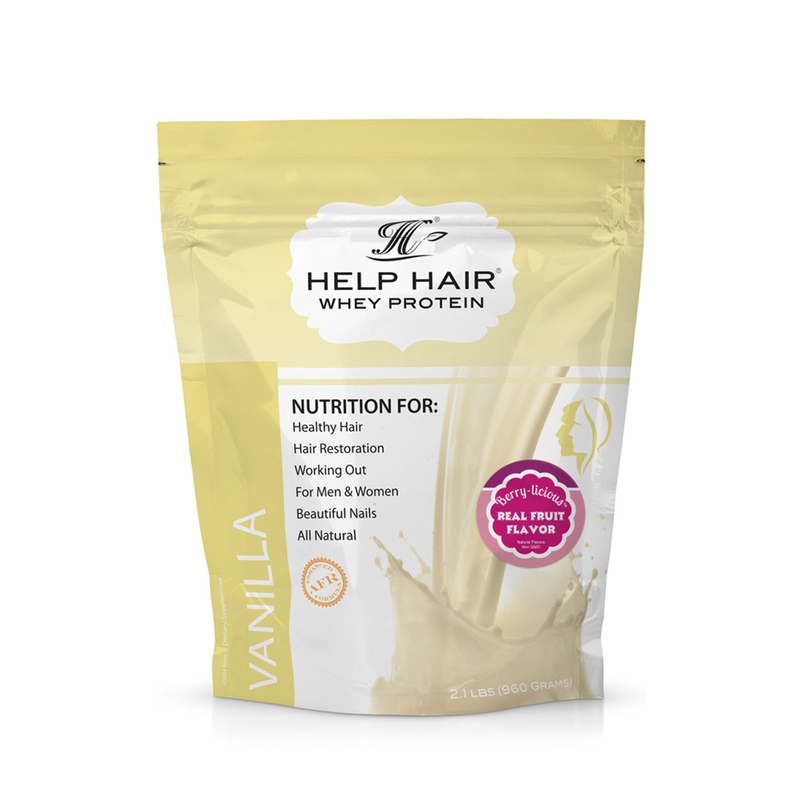 Help Hair Whey Protein is designed to be a supplement taken alongside your regular diet. 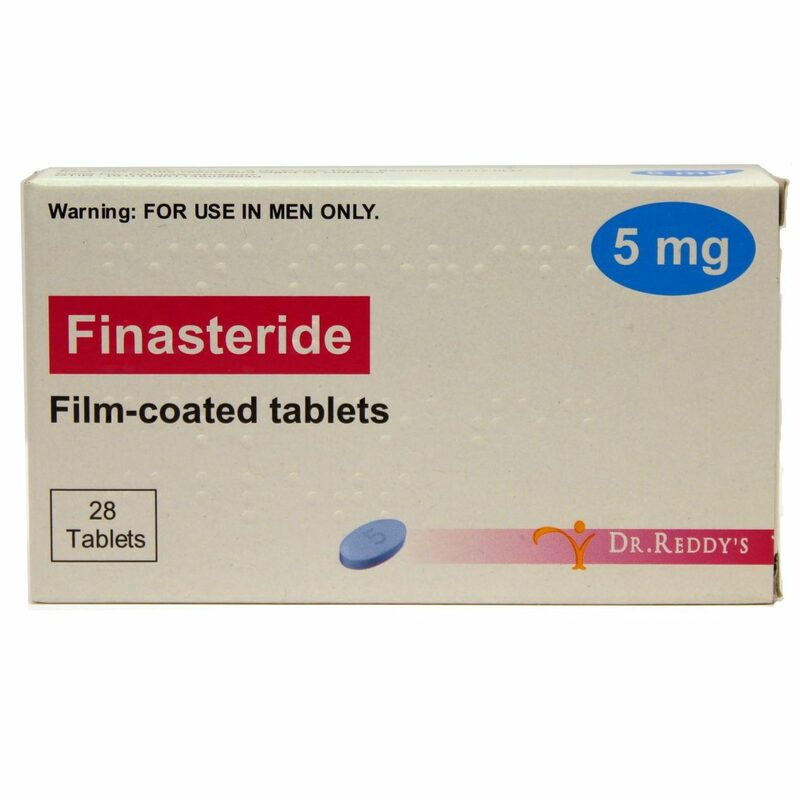 Do not consume this product if you are taking sulfonamides, blood thinners, are allergic to iodine or PABA, pregnant, lactating, have liver disease, or drink excessive alcohol. Keep out of reach of children. Do not purchase if seal is broken. Do not exceed 5mg per day of Biotin. Always consult with a healthcare professional. Use within 60 days of opening.